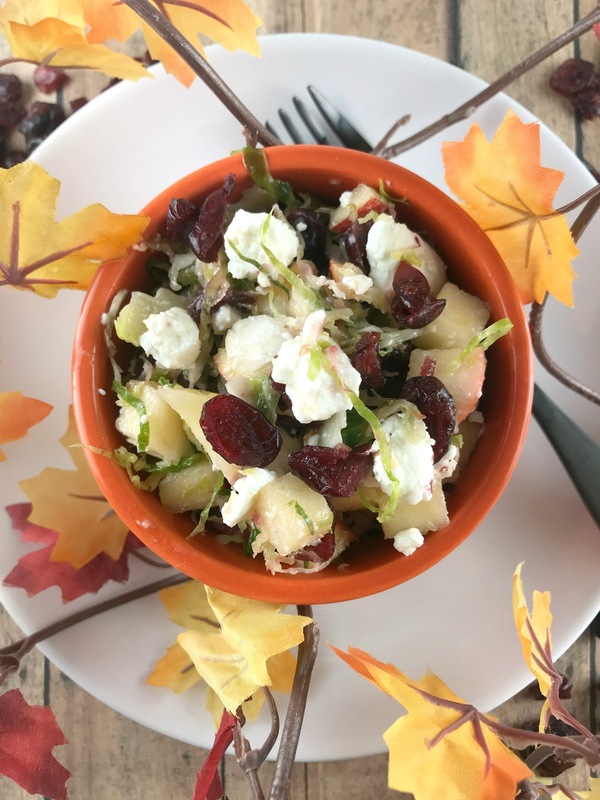 Recipe: Fall Apple Salad | The Food Hussy! It's Fall and that means apples and pumpkins!! There are great recipes everywhere! This one is so easy and I have to say it tastes even better than I thought it would! This fall salad is made with just a few ingredients - but the main two are apples and brussels sprouts. It's a nice crisp salad and the vinaigrette is easy to whip up. 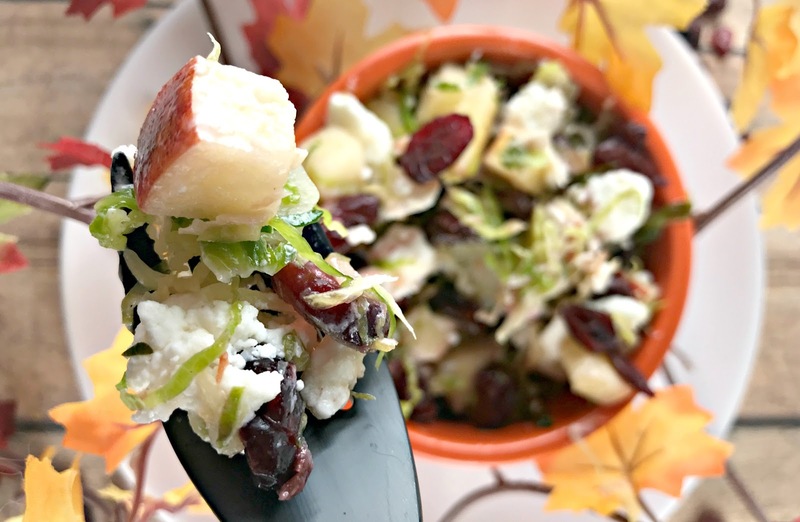 This goes great for a fall potluck or just a side dish for dinner. And - if you don't tell anybody that it's made with brussels sprouts - they'll never know!!! For the sprouts - you shave them on a mandolin - which you need to be careful with - but if you just hold the sprout by its end and shave away. When it gets toward the end - just pitch the rest - don't take a chance of adding a side of finger to your salad! You just toss the ingredients together and whip up an easy vinaigrette to toss it with. The vinaigrette you can heat up and blend - or just toss it cold - it works either way. If you choose to heat up the vinagrette - it's fun because the liquids plump up the dried cranberries and really make a tasty blended dressing! I promise you'll be so surprised by the brussels sprouts - but really they're just tiny little cabbages - so it's pretty similar to cole slaw mix. 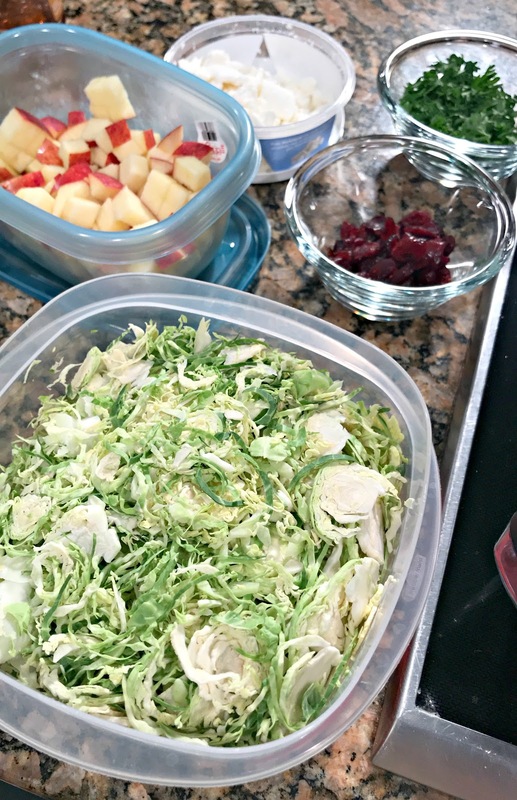 I like how shaving the sprouts makes the greens so light and fluffy - goes well with the crisp and sweet Envy apples. Envy Apples are cross-polinated to be sweet and brown less - but they're GMO free! 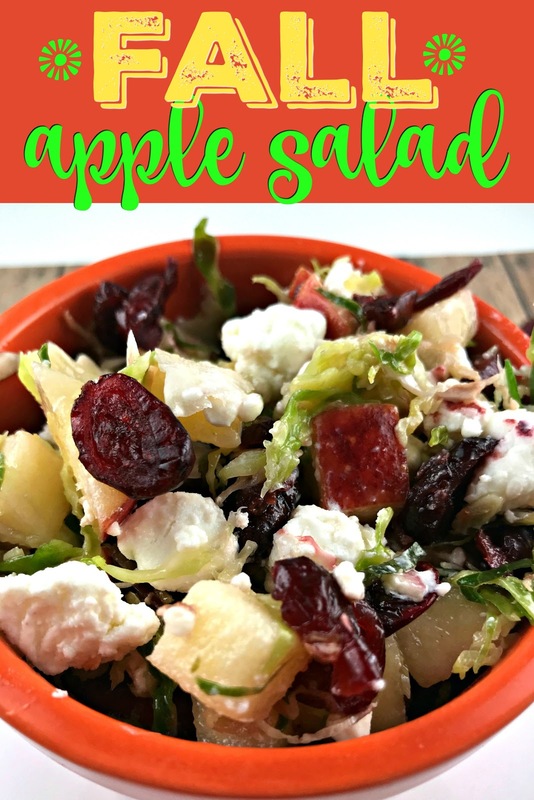 I really enjoyed the sweetness of the apples and will definitely keep these on my grocery list! I hope you enjoy this Fall Apple Salad as much as I did! 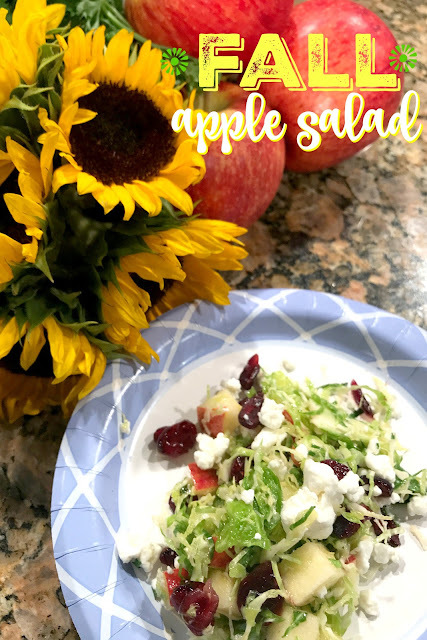 This fall apple salad is so delicious and EASY to make! It's great for apple season - or anytime you need a crisp, light side dish!